When many people think about reel mowers, they only think about the manual push reel mowers. The good news is that there are gas and electric powered reel mowers that make your work easier and cut the grass much better than the manual ones. Working with a reel mower will definitely ease up the work and even make it more enjoyable. 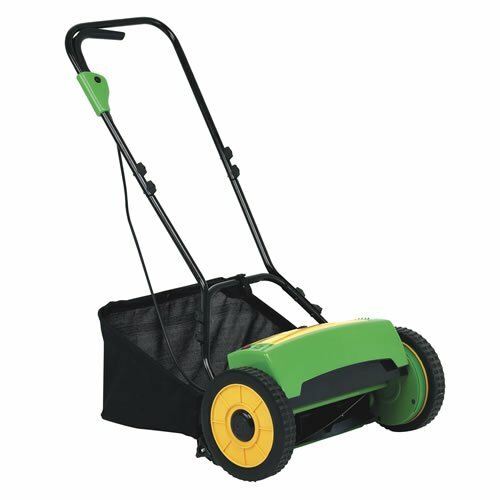 Are looking for the best powered reel mower? Keep reading. Why should you use a powered reel mower? Easier to push: This is a no-brainer. While there is the added weight of the engine or battery, the mower is producing its own power which makes it easier to push and mow the grass. Some of the reel mowers are self-propelled making your work even easier. You can mow over sticks: I’m sure you are looking for the powered machine before you are pissed by the fact that you can’t mow over sticks with the manual mower. I remember when I used to use the manual reel mower. Every weekend, before I could start mowing, I would send the boys to the yard to pick all the sticks that would jam the blades in the event I accidentally mowed over them. With a powered reel mower, you don’t have to worry about the sticks or annoying the boys in the morning. You can confidently mow over the sticks and you won’t jam the blades. You get better results: Let us be honest. While the push mower is cheaper and doesn’t annoy the neighbors with noise, it doesn’t do a good job. When I was using the push mower I had to go over the lawn two or more times to cut all the grass. This takes a lot of time and if you don’t do it, your lawn will look as if it has received a haircut from a barber half in the bag. Due to the extra power provided by the powered machine, you don’t have to go over the lawn a few times. Once is enough. This not only leaves you satisfied, you also get to save a lot of time. You have room to be lazy: In as much as I like keeping my lawn looking splendid all the time, I don’t like the bother of having to mow every week. With the manual reel mower, you have to mow the lawn at the end of every week or two before the grass gets too long for the mower to cut. Since the powered lawn mower is more powerful, you can be lazy for a couple of weeks and let the grass grow tall. The powerful reel mower will cut the tall grass without any problems. You can mow bumpy lawns: It’s challenging using a manual reel mower on a bumpy lawn as the torque that turns the blades comes from the mower wheels that roll along the ground. On an uneven ground, the wheels bounce off the ground thus the blades don’t turn. As a result, they don’t cut the grass. Since the blades are powered in a powered reel mower, you don’t have to worry much about the wheels being on the ground all the time. In fact, you can mow your lawn with a suspended reel mower. You only need to ensure that the blades are in contact with the grass you are looking to cut. All Power America APT1216 GoMow 16-Inch 24-Volt Cordless Reel Lawn Mower with Grass Catcher-worst powered reel mower ever! The mowers work just like the manual ones. You need to push the handlebars thus applying force for the lawn mower to start moving—unless you are working with a self-propelled reel mower. Unlike in a manual reel mower that relies on your energy to turn the blades, the blades are already turning in a powered reel mower as they are powered by electricity or gas. The brush bar on the front of the mowers bends the tall grass and folds it over the spinning cylinder blades. While the spinning blade is impressive to look at, it doesn’t cut the grass on its own. Grass cutting takes place when the spinning edges meet the stationary cutter bar in the rear of the mower, usually the contact point between the two blades. The cylinder then scoops the grass up and moves it to the cutter bar the same way the barber uses a comb to position your hair for snipping. After cutting, most of the grass clippings fall behind the lawn mower. Most of the modern reel mowers come with a tray or bag where the clipping collect. A study done by the University of Florida says that cutting your grass with a reel mower is better than using a rotary mower or any other lawn mowing machine. This is because the scissor-like cutting action of the device results in less damage to the leaf tissue. The grass loses little water, is less susceptible to diseases and looks better after mowing. Which factors should you consider when buying the best powered reel mower? Since you are looking for a powered machine, the source of power for the machine is of great importance. It’s up to you to choose the one that is ideal for you. Electric reel mowers are easier to maintain as you don’t need to have to buy gas. You only need to charge them and you are good to go. The unfortunate thing is that you will have to replace the battery after some time. From experience, the batteries are expensive in some cases costing half the price of the reel mower. If you have a larger lawn and you don’t like the inconvenience of charging the battery every time you are looking to mow the lawn, you should go for a gas-powered reel power. For you to mow the lawn you need to put the right amount of gasoline in the machine and go ahead with your work. While these machines are good, their main flaw is that they aren’t friendly to the environment. They are also noisy and release fumes. As mentioned, your choice should be influenced by your preferences. The other factor to pay attention to is the height of the cutting blade. When buying a cheap reel mower, you won’t have much of a choice as the cutting height is usually pre-set to one and a half to two inches. On the other hand, if you are ready to part with more money, you will be able to buy a machine with adjustable cutting height. The range varies from one-half to four inches. For you to choose the right machine that will give you the right results, you should consider the optimal growing height of the grass on your lawn. If your lawn has tall grass, go for a reel mower that will cut at least three to four inches high. The standard swath width in reel mowers is 15-20 inches. While a reel mower with a wider swath minimizes the number of passes you have to make in your lawn, it makes the mower hard to push as a lot of grass creates more resistance. Average reel mowers have between four and seven blades on the reel. The more the blades, the cleaner cut you get, but you should note that the more the blades, the more the push-power you need to push the machine. The feature that attracted me to this mower is the fact that I could use it as a manual and battery operated mower. I had issues with other electric powered reel mowers where they couldn’t work when the battery died. Not with this one. When the battery dies, you only remove it and continue with your work. If you have used reel mowers before, you know that the design of the machine plays a major role in your comfort when cutting grass and also in the results you get. Gardena 4025 features and ergonomically shaped handle, conveniently positioned switch that makes it so easy to push the lawnmower. Since the mower is small, you can easily lift and move it around. This makes it an ideal choice for ladies and senior citizens. While this is the case, it doesn’t mean you can’t use it as a young person. 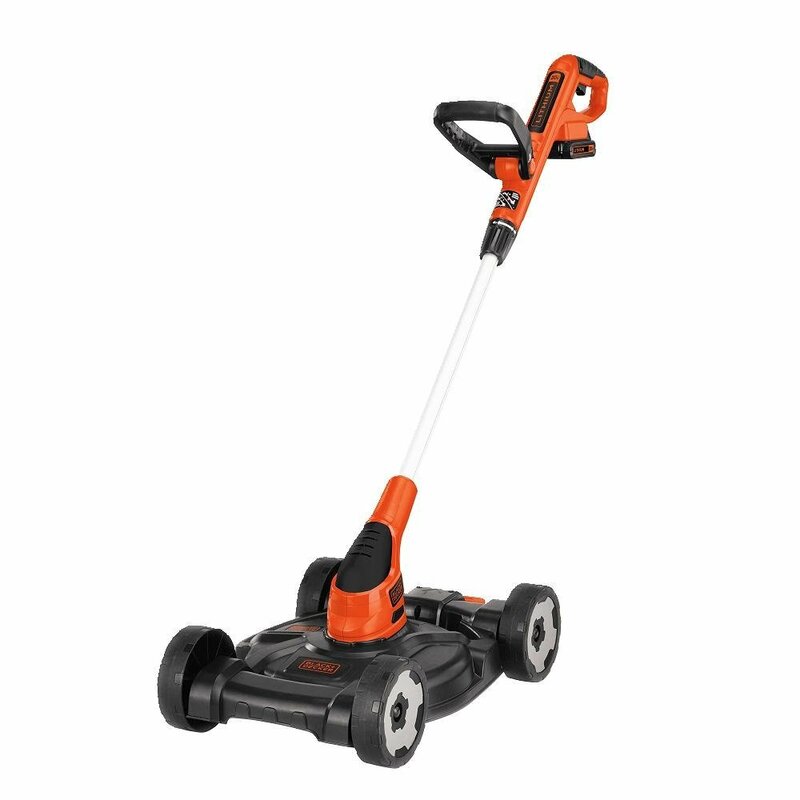 As mentioned, you can use it as battery-powered or manual reel mower. When you use it as a battery-powered mower, the machine gets its power from a 25 V, 3.2 Ah lithium-ion battery. I have a small yard and noticed that the battery lasts about an hour after which I have to recharge it. One hour is enough to complete mowing the yard but if you have a larger yard, you may have to recharge the battery a number of times. It’s also wise that you have an extra battery in hand. The cool thing is that the battery doesn’t have a memory effect; therefore, you can charge it any time. For example, when you take a bathroom break, you can connect it to a power source and you will have more power to work with when you come back. You can charge it for as long as you want but mine takes about 6 to 10 hours to charge fully. This means that you will have to leave in the charge at night when planning to mow the next morning. Most of the electric powered reel mowers I have used before got me by surprise when they stopped working without giving a warning that the battery is dead. Not with this one. This mower has an LED display that shows you the battery charge level. When the battery is about to drain out, it signals you so that you aren’t caught by surprise. When buying an extra battery, you should note that a new one will cost you a whopping $150! Will the mower cut the grass properly? You bet it will. Just like when using any other lawn mower, you should cut your grass when it isn’t too tall. If you have postponed your mowing for a few weeks, you will have a hard time mowing especially if the grass is too tall. The cool thing is that you can adjust the cutting height using a handy controller and cutting-height scale. Of course, you should set the reel mower at the height of your grass. The height should also give your yard the perfect look. One of the things I noticed about this machine is that unlike other machines I have used before that have positive stops, this one doesn’t. The scale is the one that helps you set the position you are interested in. Are you looking for a reel mower that mulches grass? Not this one. The Gardena 4025 comes with a detachable bag that helps you collect the grass clippings. This leaves your lawn clean. If you want the clippings on the lawn so that they can add the nutrients, you should remove the bag. If you like your yard clean, you should put the catcher in place. Just like other reel mowers in the market, the grass collects on the left side of the catcher. For you to have an easy time mowing, you will have to stop every now and then to even up the catcher. The catcher has a lower back thus the grass occasionally lands on your feet from time to time. The situation is worse when mowing in areas infested with ants. If you don’t like the catcher, you should get a replacement with a higher back. When the grass isn’t too tall, the mower cuts quite well and since its battery powered, it doesn’t wake up the neighbors. The only thing I don’t like about its mowing is that it’s very narrow thus I have to make more turns which means that I spend a lot of time in the yard. I wish the mower was wider. Although, the mower isn’t noisy, it isn’t as quiet as the manual one. It makes the same sound as a vacuum cleaner. This isn’t exactly a reel mower, but you can use it as one. 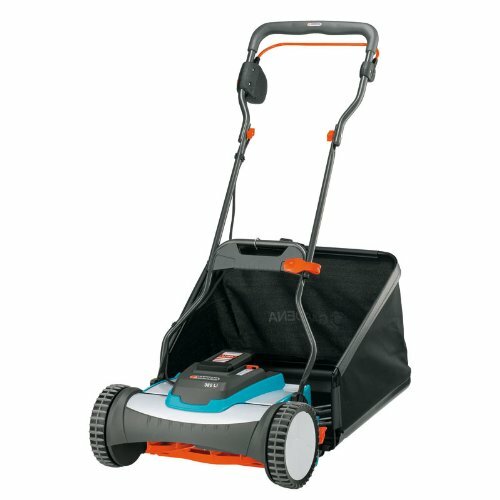 I came across the machine when I was looking for an electric reel mower after the previous one broke down after almost a decade. All I could find were gas-powered mowers and I don’t like them. Since my lawn is small, there is no point in buying a large lawn mower so, I decided to give this one a go. I couldn’t be happier. Other than using it as a mower, you can also use it as a trimmer and edger. The cool thing is that you can easily and smoothly change from one use to another. Which features does the black decker have? The machine has a number of great features that makes it an ideal choice for your lawn mowing needs. The obvious one is that it has three tools in one. You can easily convert it from mower to trimmer to an edger. How cool is that? This ergonomically designed, a lightweight machine has an auto feed system that helps you maintain a straight line when mowing. This comes in handy in eliminating bumps and brushes. The machine also has an adjustable height deck that allows you to mow the lawn at different heights. You only need to set the height that is ideal for you. The unit comes in two versions: corded and cordless. If you choose the cordless version, you will have to pay $50 more. The cordless version uses dual 20-volt ion batteries that are usually long-lasting. According to the manufacturers, the batteries will last five times longer than ordinary batteries. The cool thing is that you can use the batteries in other Black and decker gardening tools. The machine sits on 4 wheels and features a 12-inch cutting swath that has the ability to cut long grass that your regular reel mower can’t. The foot pedal helps you to easily switch between the modes. Unlike other trimmers I have used before, this machine operates at a constant speed which allows you to easily chop down weeds growing along pavement edges and around pots. For the last two years I have used it, I have never encountered any problem with it. At 6 amp, the trimmer is quite powerful and I have never faced any challenge trimming even when the hedges that had turned too bushy. To adjust the height, you need to pull the axle located under the deck base. When you receive the mower, you should charge the battery. The batteries charge within four hours. LED light flashes when charging then stops when it isn’t. Since I started using the mower, one battery lasts between 20 and 30 minutes; therefore, you should always charge both batteries especially if your lawn is large. When you order the machine, it comes with a detachable deck base with four wheels, guard, axillary handle, instruction manual, charger, two 220 V rechargeable lithium-ion batteries, and trimmer string. To assemble the machine, you need a screwdriver. Slide the guard into the motor housing of the trimmer. Keep pushing until you hear it snapping into place. You should then enter the included screw and tighten. Next, attach the auxiliary handle to the trimmer. To move the handle, push the orange button. To adjust the height of the trimmer, loosen the collar then move the straight housing unit up or down. The battery slides into the housing unit. Push it until you hear a snap. For you to be safe, avoid making any adjustments to the mower with the battery in. The trimmer edger sits in the base. You should put it in and you will hear it lock into place. To release the trimmer from the base, press the foot pedal. I know you might be confused about how to use the machine since its multi-purpose. You should know that the tool is set up as a mower by default. When mowing, you operate it the same way you operate the regular mower. Do you want to use the tool as an edger/trimmer? You should detach the main unit from the cradle and use the edger or trimmer around the tight corners and obstacles. Once you are done with the trimming, attach it back to the cradle and continue mowing. When mowing the short grass in my backyard, I have to go over only once but when it comes to the longer grass, you will have to go over a few spots more than once. If you are a good homeowner and take good care of your lawn by mowing once a week, your grass is short most of the time thus you need to go over it only once. When cutting the grass growing along the edges, wear closed shoes and ensure your legs are fully covered. This is to prevent stones, sticks and other materials from hitting you when mowing. I know I’m supposed to tell you about the best powered reel mower that you should go for, but I feel that it’s also my responsibility to tell you about the worst reel mower you should avoid. I can’t blame anyone for this purchase. It is my fault but I’m here to protect you from making the same mistake. I had read reviews from other customers and most of them were negative. I thought I would be different as I had purchased other products with many negative reviews only for them to be good on my side. Who hasn’t had the same “luck”! I noticed trouble from the time I received the reel mower. The item was already broken when I received it. The top was broken, screws bolts cracked, and already had cracks on the side. Don’t get me started on the packaging. I’m used to online products being professionally packed in at least two boxes. Not this. It must be the most unprofessional packaging I have come across. Despite the flaws, I went ahead and connected all the parts and replaced the few pieces that had Brocken. I have to say that assembling the mower is quite easy and I did it in less than an hour. I charged the batter and out I went. When I started it, I was greeted with loud noise. I had to check again I wasn’t using a gas powered machine. The manufacturers say that its quiet as its battery powered, but good lord! The mower sounds like a tractor! I started the machine a number of times before I could get it working. Since I hadn’t mowed for a few weeks, the grass had grown tall. I spent almost half an hour trying to mow, but the machine didn’t mow even two meters. The few pieces it managed to cut were spread all over the yard. When buying, it comes with a grass catcher whose role I don’t understand as the grass was all over. Unlike other mowing machines that throw the grass clippings at the back, this little thing was throwing the clippings all over! Pay attention to the direction of mowing: The direction of mowing has a great impact on how the lawn looks like. For you to have an easy time mowing, always mow in the growth pattern of the grass. When mowing, don’t mow more than 1/3 of the grass blade. This is to encourage the grass to grow deeper roots. Grass with healthy roots seeks water and nutrients much better thus it’s healthier. The grass also tends to fight weeds much better. If you have used a reel mower before, you know that you always have to go over a number of time to give the lawn the look it deserves. If your grass is more than 4 inches tall, you should make more overlaps to cut all the grass. You can cut the grass in any pattern that you want. Some of the best patterns to think about are the checkerboard and once up and once back pattern. You must have come across information that you should mow once a week so that you don’t have grass that is too tall. I’m here to tell you to ignore this and mow according to the temperature and rainfall patterns in your area. You should note that warmer temperatures and increased rainfall promote grass growth; therefore, you should cut more frequently and vice versa. Pay attention to the season you are mowing. When mowing during summer, the grass has little moisture at this time and tends to droop. Mow at a shorter height for you to get the desired look. In spring, the grass has plenty of water and grows quickly. Set the reel mower height higher and mow more frequently. For you to have an even cut, alternate the mowing direction throughout the growing season of the grass. Avoid mowing when the grass is wet as it has been shown to produce an uneven cut. Wait until the grass dries up and you can go ahead with your work. Mow during the evening and morning when there is a little sun. This has been shown to put little stress on the grass as compared to mowing in the afternoon when the sun is pounding. Once you are done with mowing, leave the clippings on the lawn. The clippings will compost fast releasing their valuable nutrients into the soil. This makes the grass grow better and healthier thus you have a beautiful lawn. Just like any other unit you might be having, you need to regularly clean your reel lawn mower. When you clean it, you not only keep it looking as good as new, you also get rid of harmful bacteria and other materials that might cause rusting and other forms of damage. After you are done with mowing, wipe the reel mower thus getting rid of grass, dirt, and moisture that might be there. If you have turf diseases in your lawn, wash the mower between mowing. This is to prevent their spread. In addition to this, you also should make it a habit to use a hosepipe to clean the lawnmower. For ideal results, you should do it once a week. These are the heartbeat of your machine; therefore, when they aren’t working as optimally as they are supposed to, you will be in for trouble. Inspect the blades when you are starting to mow. The best way of doing it is facing the front of the lawn mower then slowly rotate the reel down, one blade at a time. You should be on the lookout for any imperfections. You also should listen to scraping and any resistance in the blades. Look whether the cutting reel blades and stationary blades are touching. If there is no contact and the cut is good, your reel mower is in perfect condition and you don’t need to do anything. If you come across any imperfection or contact between the blades caused by burr or nick, remove the burrs and nicks. You can do the work by yourself or hire a professional to help you out. To remove the nicks or burrs you need a flat, fine, narrow file. You should make long, straight strokes against the blade surface, perpendicular to the blade. File only the raised material that prevents the reel from spinning freely. As rule of thumb, avoid filing the cutting edge. If there is contact and yet there isn’t a nick or burr, undertake a paper cut test. You also should undertake the test when there is no contact or nicks and burrs but the cut performance is poor. For you to perform the paper cut test, rotate the reel with one hand. When doing it, slide a paper strip against the stationary blade. The paper acts as blade of grass. You should rotate the reel down through all the cutting reel blades while moving the paper strip up as it cuts. If the blades are set properly, the paper should cut cleanly. If it doesn’t cut properly, adjust the blades. When the lawn mower blades aren’t in line, it’s time to line them up. For you to do this you need an 11 mm and 13 mm wrench. Use the 13 mm wrench to unlock the locking bolts on the side you are adjusting. Are the blades touching? Rotate the adjustment dial counterclockwise until the blades are no longer in contact. If the blades are far apart, you should turn the adjustment dial clockwise to the point where the reels are about to make contact. You should then turn the dial counterclockwise slightly in order to back the blades off the stationary blade. Once you are done, tighten the locking bolts and undertake a paper test. If the cutting isn’t even, repeat the adjustment on the other side of the blades. These are some of the best powered reel mowers that you can go for. for you to get the most from them, ensure that you buy them from a reputable store. You also should take good care of them. you can do this by regularly cleaning them. The best way of going about it is cleaning them as soon as you done with mowing. Although, you can go for months or years without sharpening the blade, you should avoid doing it. For your machine to run effectively and cut the grass properly, make a habit of sharpening the blades at least once every month.